Today, Governor Brown signed the Homeless Youth Act of 2018 – SB 918 (Wiener), which is one of the California Coalition for Youth’s sponsored bills. 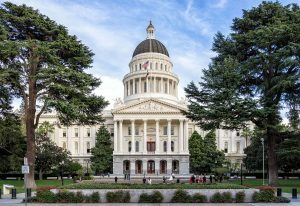 This bill takes a significant first step for California to do the state-level system work and coordination necessary to prevent and end youth and young adults experiencing homelessness. This bill recognizes that all young people, and in particular LGBTQ youth and youth of color, who are over-represented among youth experiencing homelessness, are recognized and that the state will work to address systematic barriers and lack of coordination in meeting their needs. For too long, there has been no clear state agency or department responsible for addressing the needs of this vulnerable population. The California Coalition for Youth worked with a broad group of stakeholders on SB 918, and was joined by Tipping Point Community, Equality California, John Burton Advocates for Youth, the Corporation for Supportive Housing, and Housing California as co-sponsors of the measure. Additionally, SB 918 builds upon recent actions taken in the 2018-19 State Budget of which CCY was instrumental. Budget actions included moving the Council from the Department of Housing and Community Development to the Business, Consumer Services and Housing Agency – placing it closer to the Governor – and expanding the Council’s membership to include a seat for a formerly homeless youth. The Budget also includes $500 million for the Homeless Emergency Aid Program, which includes a minimum 5% of these funds to be set aside to serve homeless youth or youth at risk of homelessness. In addition to Senator Wiener and Assemblymember Rubio’s authorship, SB 918 is co-authored by Senators Ben Allen (D-Santa Monica), Jim Beall (D-San Jose), Steven Glazer (D-Orinda), Jerry Hill (D-San Mateo), Connie Leyva (D-Chino), Anthony Portantino (D-La Cañada), Scott Wilk (R-Santa Clarita), and Assemblymembers David Chiu (D-San Francisco), Ken Cooley (D-Rancho Cordova), Lorena Gonzalez Fletcher (D-San Diego), Tom Lackey (R-Palmdale), Brian Maienschein (R-San Diego), Chad Mayes (R-Yucca Valley), Kevin McCarty (D-Sacramento), Eloise Gomez Reyes (D-Grand Terrace), Freddie Rodriguez (D-Pomona), Marc Steinorth (R-Rancho Cucamonga), Mark Stone (D-Scotts Valley), and Tony Thurmond (D-Richmond).